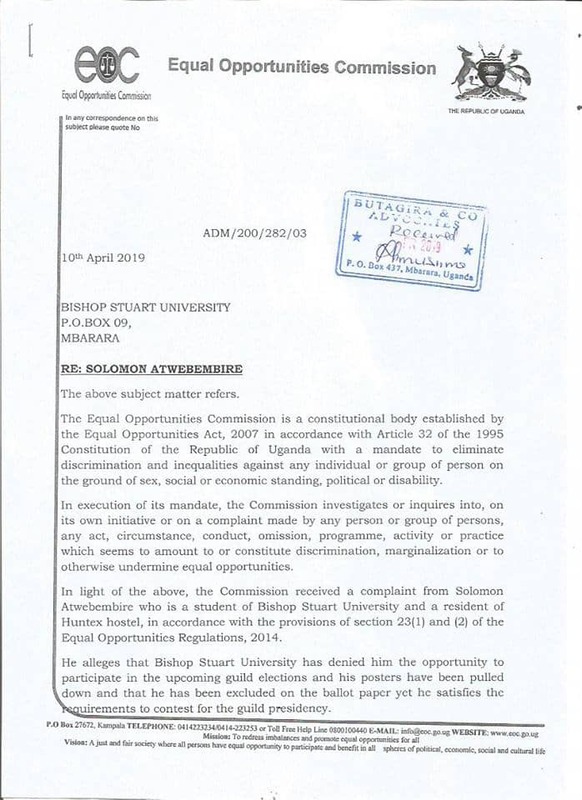 The Equal Opportunities Commission has ordered Mbarara based Bishop Stuart University(BSU) to stop mistreating and breaking the rights of one of its guild presidential aspirant Solomon Atwebembire, a candidate standing under the renown people power movement. The court also yesterday asked BSU to remedy the breach of the constitutional rights of Mr Atwebembire by including him on the ballot paper for the Guild Presidential elections and allowing him to hang his banners within fifteen (15) days from yesterday 11th April 2019. In a letter addressed by the secretary equal opportunities commission Mr. Mujuni Mpitsi Pac Lawrence, the commisson urgued that Atwebembire meets all the requirements for the position of Guild President and therefore shouldn’t be denied a chance to campaign. 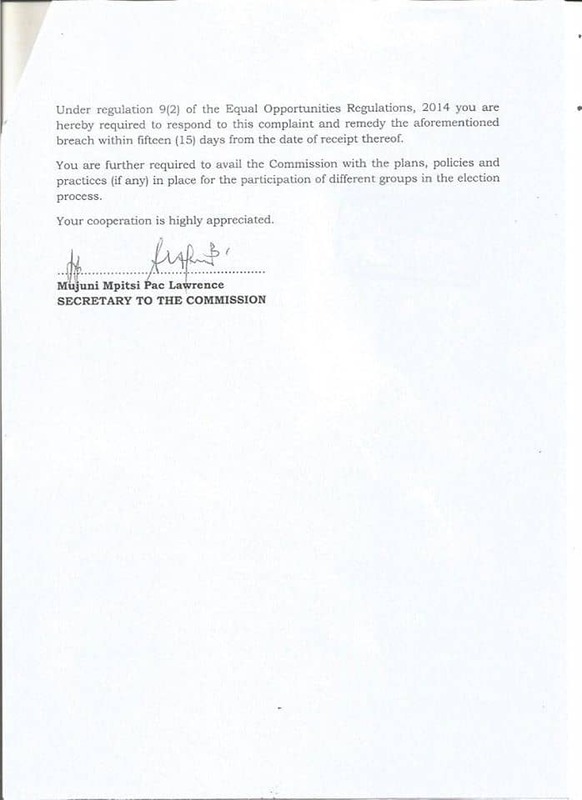 Through the same court order letter, the University has also been ordered to respond to his complaint as well as availing the Commission with any plans, policies, and practices that it has put in place for the participation of different groups in the election process, all within the fifteen days (see order attached). However, the university has not offically responded to the above court order although Atwebembire and his team have already served the order to the University lawyer, Amb. 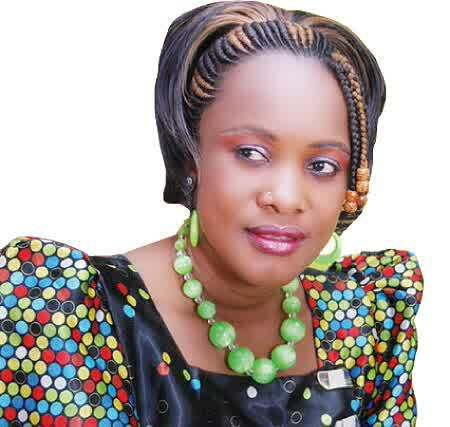 Canon Francis K. Butagira of Butagira & Co. Advocates. 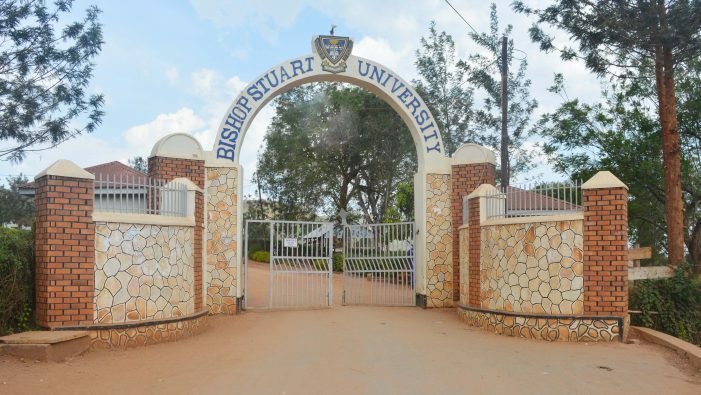 In the past few days, Bishop Stuart university had declined to render support to Atwebembire on allegations that he was under people power movement that is being led by Bobi Wine also Member of Parliament for Kyandondo East constituency alias Robert Kyagulanyi. The university urged that such politics was not allowed in a university like BSU and upon that rejection, the university allegedly pulled Atwebembire’s campaign posters from campus and he was bared from attending lectures and being at campus. This prompted him to run to court and report the case. Although the university has not responded officially on reinstating its stand on this political atmosphere, the new breed of people power presidential candidates seems to be taking almost every campus in the country.